What’s it like to retire and move from your home of more than 35 years in a place where you had spent most of your adult life? It’s an adjustment but for Jim and Judy, it was also an opportunity to live close to the ocean. Walkability was a big requirement for both. Judy walks on the beach in Bethany most mornings and Jim often joins her. Jim also likes that their community in Ocean View allows them to walk to 2 grocery stores, a liquor store, several restaurants and shops for almost all of their daily needs. Relocating, downsizing, and moving into a new home is a lot to accomplish. Jim said that their first order of business was to just get settled. Judy is making new friends in their community but still finding it difficult to adjust to not working! Their community is active and there is a Happy Hour weekly. I asked if they had seen my post about “Is Happy Hour the most active time of day?”Jim enjoys the networking during Happy Hour and he is becoming more involved in their Homeowners Association. Judy is joining Sea Colony this winter and looks forward to their many fitness programs and classes. They both enjoy the common interests and shared experiences with their new neighbors, most of whom are in the same age group. Even though their community is not “age restricted”, he likes the fact that almost everyone is in their 60s. They also like that only a few homes in their community are rented and most are rented on a long-term basis. That wanted neighbors, not a weekly rotation of vacationers. How is medical care in the area for people our age? Jim has found healthcare to be excellent and they are excited about the new medical campus that Beebe Hospital is building in Millville, right down the street from them. As we get older, proximity to good quality health care is important and now that Beebe is coming to Southern Sussex County, it will continue to draw retiring Baby Boomers to Bethany, Ocean View, and Millville. 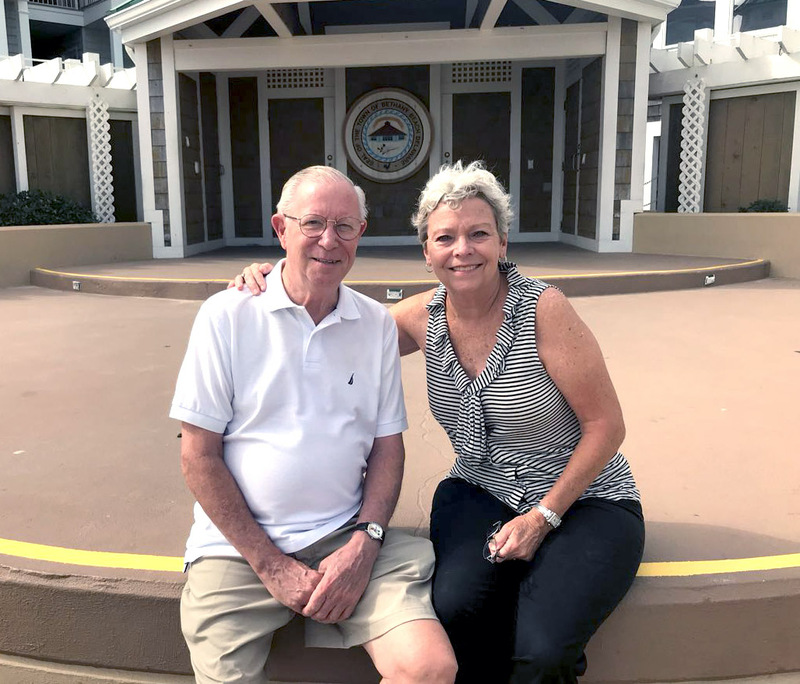 Jim and Judy moved here full time in August of 2017, but they have already learned their way around. They are taking their time but gravitating to volunteer activities. I know that whatever organizations they choose to become involved with will benefit from their background and experience. Judy spent years in the Savings & Loan industry, remember that? Then she raised their two children before going back to work as Assistant to the Principal of an elementary school in Laurel, MD, from which she retired last year. Jim spent most of his career as a Manufacturers’ Representative in the Home Textile Industry. That meant lots of air travel and time on the road. They hope to do some travel once they are settled and look forward to visiting their daughter in Illinois and their son who now lives in Berklee, California! 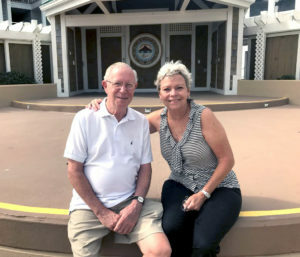 Jim and Judy both wanted me to know that Bill Roebuck and Jillian Gharavinia, who just recently joined our team, were great to work with and helped them find just the right community. We agree and would like to join Bill and Jillian in welcoming Jim and Judy Marshall to LSD (Lower Slower Delaware)! If you’d like to relocate to Delaware and spend your retirement years here, reach out to us. We’re here to help. Be sure to download our free Relocation Guide filled with information on each of the counties in the state and many resources.